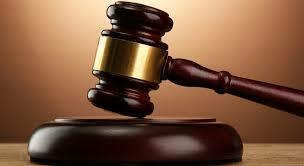 Three Bulawayo men arrested over illegal possession of small quantities of narcotics have told a Bulawayo court how they suffered savage torture by soldiers before being handed over to the police. Leo Ncube, Kelvin Dube and Courage Bester Mkandla appeared before magistrate Tinashe Tashaya last week facing charges of illegally possessing 39 grammes of crystal methamphetamine. The accused were granted $100 bail each and were ordered to stay at their given residential addresses until their case is finalised. The accused — through their lawyers Nqobani Sithole and Mlweliwenkululeko Dube from Ncube and Partners — spoke of how they were severely assaulted and tortured on January 23 by the army before being handed to Bulawayo Central Police Station. The accused sustained injuries on the back, buttocks and the head. The trio’s lawyer told the court that the army officials sternly warned them against disclosing the torture in court.